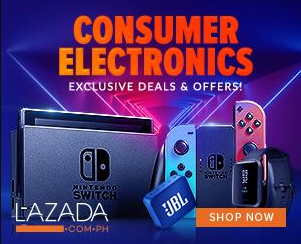 Planning to make the most of your 2019 with a new smartphone companion? 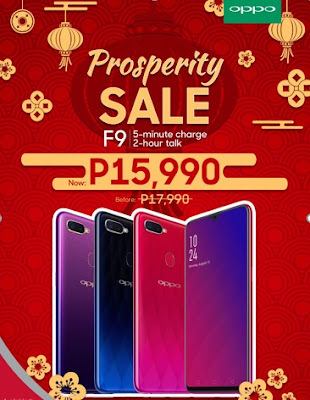 Get the best deal on a brand-new OPPO F9 and enjoy P2,000.00 off the retail price with every purchase of this best-selling model at OPPO stores and authorized dealers nationwide. At the start of 2019, OPPO has also released a stunning new colorway for the F9: Jade Green, which is inspired by the natural beauty of the Philippine islands. This limited-edition hue was in very high demand in the local smartphone market and stocks are fast running out. The OPPO F9 in Sunrise Red, Twilight Blue, and Starry Purple will now retail for P15,990.00 from the original price of P17,990.00. The limited-edition Jade Green model, on the other hand, remains priced at P17,990.00. The OPPO F9 offers sleek style and powerful features perfect for on-the-go individuals with active lifestyles. From the beautifully gradated back covers to the unique Waterdrop screen, the F9 is sure to turn heads—but it also comes with VOOC Flash Charging and AI Battery Management features to power users throughout the entire day. And for mobile photography connoisseurs and enthusiasts, the F9 boasts of a 16MP + 2MP dual rear camera for stunning dramatic portrait shots, as well as numerous picture modes like AR stickers, Super Vivid, and slow-motion for creative, one-of-a-kind images. Take note that the new, lower price of OPPO F9 will be effective starting January 25, 2019.